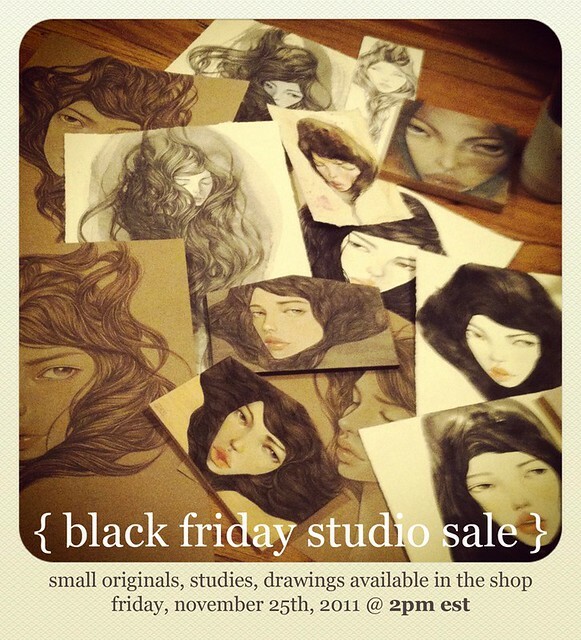 Studio Sale & Holiday Special! i don't know where the time has gone but the holiday season is upon us already. have been left around the studio throughout this year. drawings, studies, and paintings that have been left over from the year 2011.
although, this time, instead of etsy, it will be in my new shop site. menu on my shop page by friday. feel free to let me know of any questions! FREE SHIPPING for all orders with 4 or more prints and/or originals! please insert the code "HAPPYHAPPY"at checkout. December 14th at the latest for a timely holiday shipping. that date aren't guaranteed to arrive in time for the holidays.